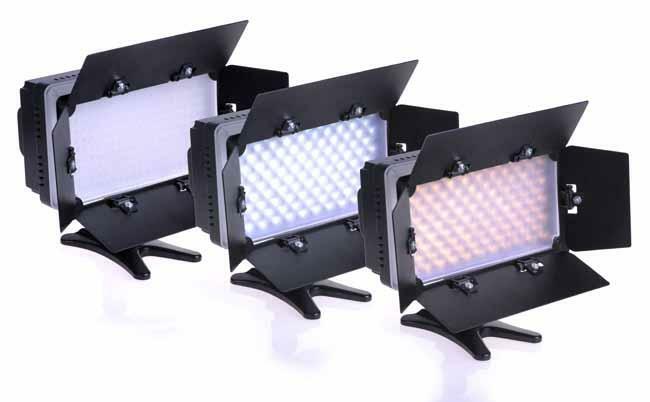 So, you're an indie film-maker and you need some portable lights. Are the Brilliant DVT210 bi-colour LEDs up to the task? Andy Cameron finds out. So, you’re an indie film-maker and you need some portable lights for when you’ve got an impromptu interview/scene to shoot. I have to say that the Brilliant DVT 210s do give you exactly what you require. I have to say that I like these lights. They come with some very nifty features that I look for in a portable light source. Firstly, their weight. Weighing in at 160 grams (minus battery) they fit in your travel bag/ lighting bag with great ease and with their compact size you can fit a couple easily without requiring too much room. The general feel and quality is quite good and doesn’t feel cheap or too flimsy at all. Their ‘ball bearing’ hot shoe feature gives a fantastic amount of control on your positioning of your lights. The battery source works with either Sony NP750s or 6x AA batteries giving you the option to switch between if required. Simple dial controls for brightness intensity and warmth of light make for a speedy adjustment time. Especially handy when you have little to no time for a set up, say for example on an interview at an event. Another feature that gives this model strength is the magnetic diffusers which attach to the front of the light itself. Unlike other portable lights — such as the CN-160 which has a slot attachment at the front to slide diffusers into — the DVT 210 uses magnets to attach them instead. This gives you peace of mind when moving the light at speed without the fear of losing a diffuser in transit. Power-wise this model works with both Sony NP750s and AA batteries, as well as a socket for an external DC power source, which is a nice touch for studio set-ups, should you require long filming times without fear of battery drain. As with all lighting products there are downsides. Albeit not as many with this model. As much as the magnetic diffuser attachment is a useful tool it does limit you, should you damage/lose your diffusers. Which can happen if you don’t take proper care of them while in transit. Although a petty flaw, but still one that irks, a hot shoe adapter would not have gone amiss as it is featured on the front and back of the box giving you the impression there is one inside. However these are available to purchase separately, though it would have been a nice bundle feature with the free diffuser. Also, for the larger-handed film-makers, the access panel for the batteries at the back of the light can be a tad fiddly to open, even with smaller more nimble fingers. Not a an issue you would want to deal with in a short set-up time. Bracket holders and barndoor accessories are available for this product. In my line of work as a freelance film maker, primarily focussing on promotional videos and on location interviews, these lights offer everything you could need from such a portable light source. They have a good colour temperature range and a decent intensity of brightness. I would happily have a couple of these in my kit bag for interviews and low-light shooting. 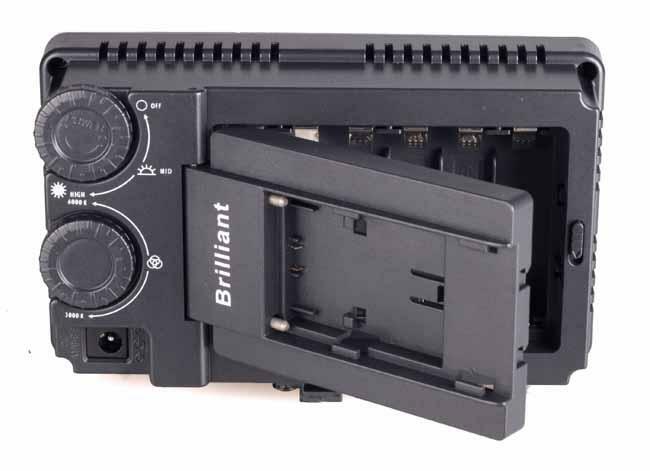 Brilliant Photo Group is a photographic accessory manufacturer based in Singapore. 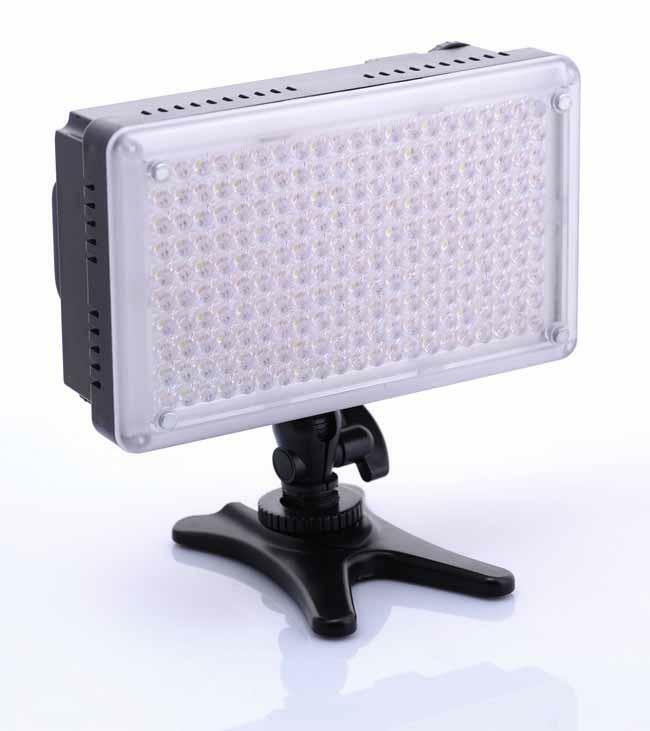 For more information on the Brilliant DVT210 bi-colour LED lights, other Brilliant products and where to buy them, visit their web site. Andy Cameron is an independent film-maker based in Edinburgh, UK. View his work at 47film.com.